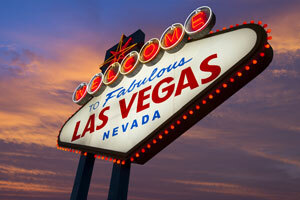 Las Vegas is home to over 580,000 people and is known as the “Gambling Capital of the World”. The famous casinos and hotels bring millions of tourists to Las Vegas every year creating an environment prime for billboards and advertising. Las Vegas is also famous for its outdoor advertisements along the city streets, such as on Fremont Street, which catch the attention of the incoming tourists. Some of the more notable casinos include the El Cortez, Four Queens, the Golden Nugget, and the Mirage. Any type of out-of-home advertising near these tourist hotspots would yield high traffic exposure of your business. There are also performing arts centers and golf courses as additional tourist destinations. Local advertisers can utilize these venues in order to target their audience for more cost-effective billboard prices. Another outdoor advertising opportunity Las Vegas has to offer is billboard space along its major highways. Billboards on Interstate 15 and interstate 515, which run through downtown, would be a very effective advertising strategy. Zip Codes: 89101, 89102, 89103, 89104, 89106, 89107, 89108, 89109, 89110, 89111, 89112, 89113, 89114, 89115, 89116, 89117, 89118, 89119, 89120, 89121, 89122, 89123, 89124, 89125, 89126, 89127, 89128, 89129, 89130, 89131, 89132, 89133, 89134, 89135, 89137, 89138, 89139, 89141, 89142, 89143, 89144, 89145, 89146, 89147, 89148, 89149, 89150, 89151, 89152, 89153, 89154, 89155, 89156, 89158, 89159, 89160, 89164, 89170, 89173, 89177, 89180, 89185, 89193, 89195, 89199.